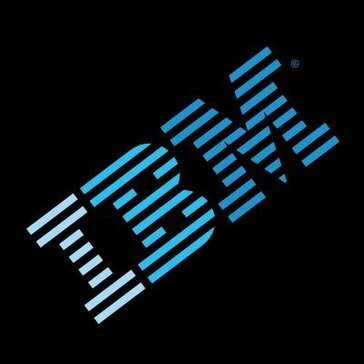 Work for IBM Security Risk Based Authentication? Learning about IBM Security Risk Based Authentication? "A product that has the intelligence to protect cybersecurity and protection of the organization." One of the most relevant aspects regarding the use of the product is that it allows an analysis and protection in real time which undoubtedly allows taking necessary actions when detecting a threat, especially its use has been applied during transactions as well as access database that has confidential degree information related to the financial statements as well as information from members of the organization, which can not be compromised by the company's own rights, which its interface and tools allow an efficient high intelligent analysis efficiency, which establishes a constant monitereo that guarantee their main functionalities. As for the product it is very complete, integrated and very simple interface with respect to the functions, until now it has provided good results in the process of the company's safety management, which provides the highest efficiency in the services of the company. product, therefore my person and the organization have not found any problem also has a good technical support that guarantees the quality and functions of the product. This software offers a very good alternative and efficient with respect to risk security, which undoubtedly improves efficiency and is an innovative tool that increases the utility and operational efficiency in the risk management of the company. This product has been allowed to be a very useful tool in risk management, which has placed all the confidence in the use of the product for quality and guarantee, and also is a very innovative and updated tool that is on par with and in a high category with respect to protection, especially in the case of fraudulent transactions and access, theft of information and others that may affect the integrity and other functions of the organization. Acceptto is a cybersecurity company providing identity protection and Cognitive Continuous Authentication, threat modeling and analytics in a SaaS-based operating model. * We monitor all IBM Security Risk Based Authentication reviews to prevent fraudulent reviews and keep review quality high. We do not post reviews by company employees or direct competitors. Validated reviews require the user to submit a screenshot of the product containing their user ID, in order to verify a user is an actual user of the product. Hi there! Are you looking to implement a solution like IBM Security Risk Based Authentication?